‘Solar Team Eindhoven will travel 1000 km on a single battery charge!’ This was a newspaper headline about our new adventure. In early December we will set the FIA world time record for driving a distance of 1000 km for electrical vehicles below 500 kg on the Uvalde Proving Grounds in Texas. 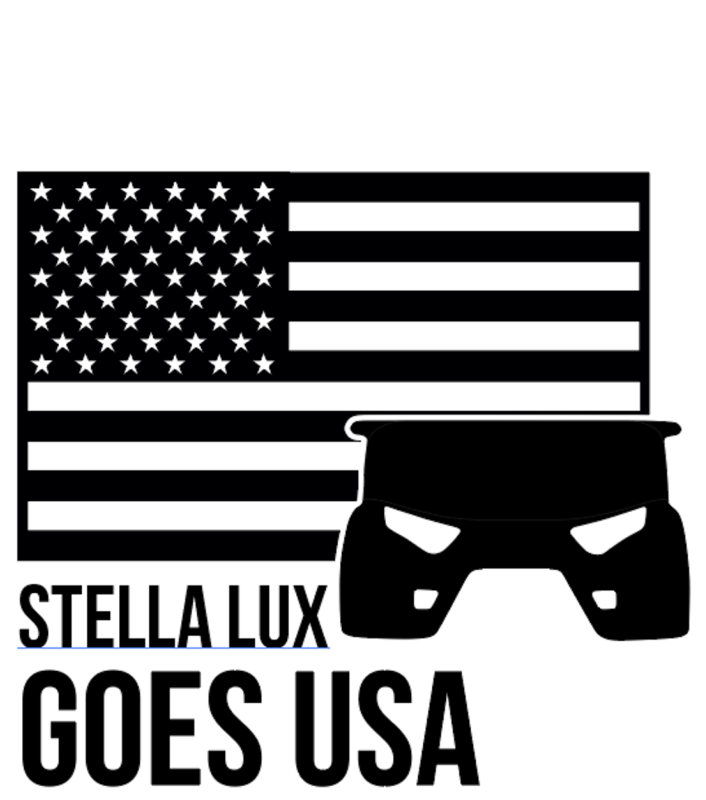 In the past few weeks we have made some little changes to Lux, like a 5 point harness, to be officially registered as a world record attempt. The team members of Team 2015 will soon leave to the United States of America. Follow the entire journey on our website and social media channels! On Wednesday the 28th of September we said goodbye to Stella Lux for her trip to the USA. By truck she has been transported to Maastricht, from where she will continue her journey. Have a safe trip Lux! It is official: Solar Team Eindhoven will participate in the Bridgestone World Solar Challenge 2017! 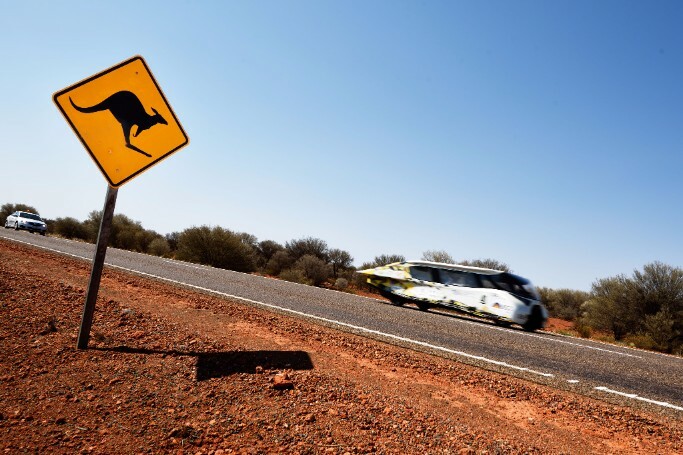 This spectacular competition across the outback of Australia is an important moment for us. For the second time we will defend our world title in the Cruiser Class, where more and more strong teams are competing. Additionally, the regulations for this edition are dramatically changed. A more energy efficient car instead of a fast car will have the biggest chance to win. At the moment, we are thinking of the strategy to drive an optimal race in October 2017. It seems so far away, but before we even notice we will be in Australia. And hopefully winning another world title! 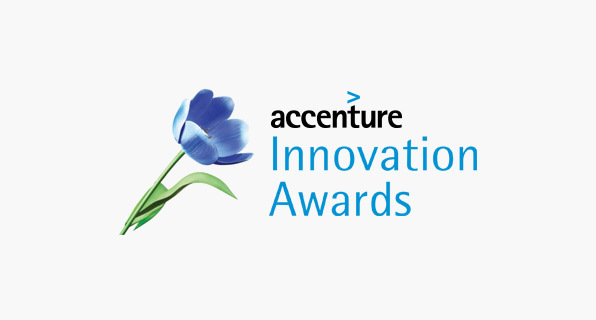 This year we are nominated again for the public award of the Accenture Innovation Awards. This means we need your vote! In one week the periodic voting will close, so please click here to vote for Stella Lux! Voting is allowed 3 times with Facebook, Twitter and LinkedIn! Hi! As part time member of Team 2015 I was given the opportunity to experience being part of STE for half a year. I liked being part of a team of highly motivated students, but six months were too short to experience the whole process of building a car and therefore I applied for the next team. Now I am a member of team 2017 and for the next 1.5 years I will be fully committed to the project. As a System Architect in the field of Mechanical Engineering, I am responsible for providing a structure in which the huge task of building a car is split into smaller tasks. Once the engineers in our team have completed all those smaller tasks, we’ve built the car! To achieve this goal, I work together with two other System Architects who are specialized in the fields of Electrical Engineering and Software Science. At the moment we are busy defining the different modules present in the car. Each module has a specific function; for example the function of the Solar System is to convert solar irradiance to electric energy. In designing and building the Solar System, connections to other parts need to be taken into account. That’s why we try to create a good overview of how all modules are linked. In the next months, requirements for the system as a whole and for each separate module will be defined. This will help us in designing and building the car we are planning to build and thus to reach our goals. To give us as the new team a thriving start it is very important that the experienced team members transfer their knowledge about Solar Team Eindhoven and building a solar car. 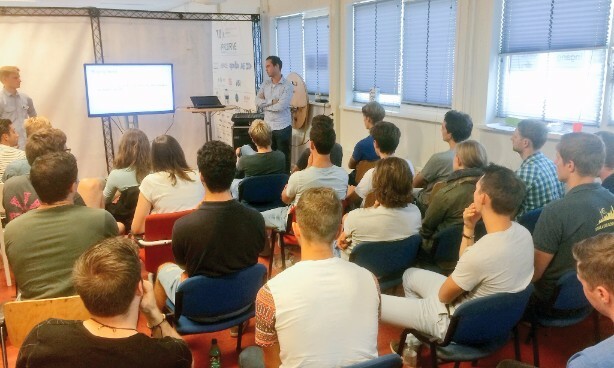 In the first week of September we had a knowledge exchange week where multiple presentations about, for example, the World Solar Challenge were given. Now we are ready for the Solar Team Rollercoaster! 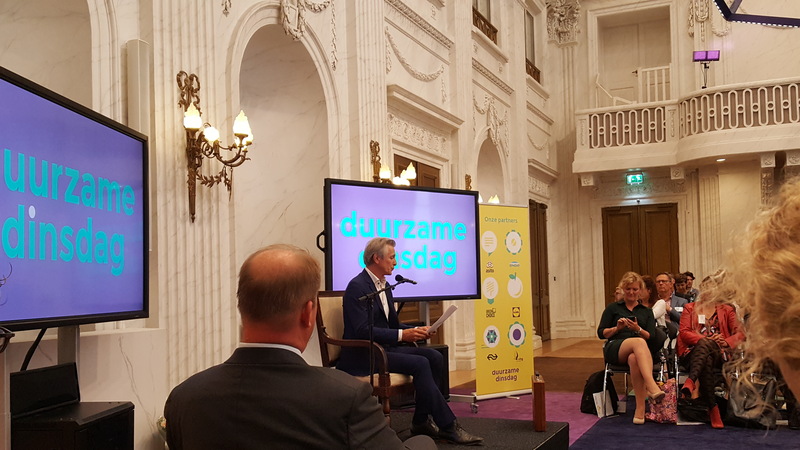 On Tuesday the 6th of September the Duurzame Dinsdag (the Sustainable Tuesday) took place in the old Parliaments Chamber in The Hague. Our cars Stella and Stella Lux were nominated for the NS Reis mee-prijs, which is a prize for a sustainable innovation in the mobility sector. 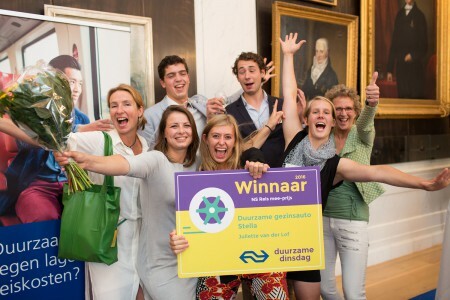 After the Sustainable Speech, given by Maurits Groen, the winners of the different prizes were announced. After a praiseful judgement by the jury we have received the price. Together with the NS we are now looking for ways to help each other towards sustainable mobility.